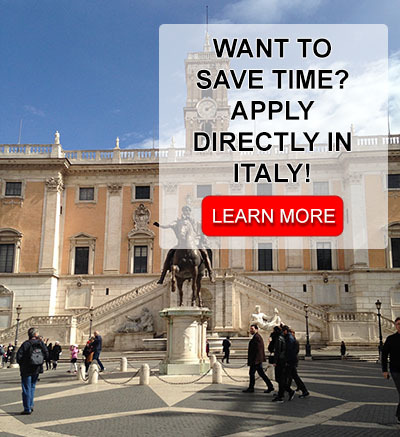 A common way to obtain citizenship in another country is through marriage and Italy allows you to obtain dual citizenship if your spouse is an Italian citizen. 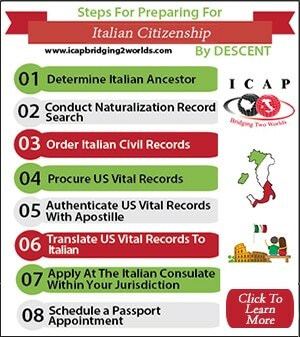 The process is not as simple as just marrying an Italian citizen, there are several steps you must complete that include obtaining and translating personal documents as well as sending translated documents to government institutions in Italy. The professionals of ICAP can help you obtain the necessary documents and we will also translate your records into Italian and offer assistance with uploading the documents to the Italian Ministry for the initial review. 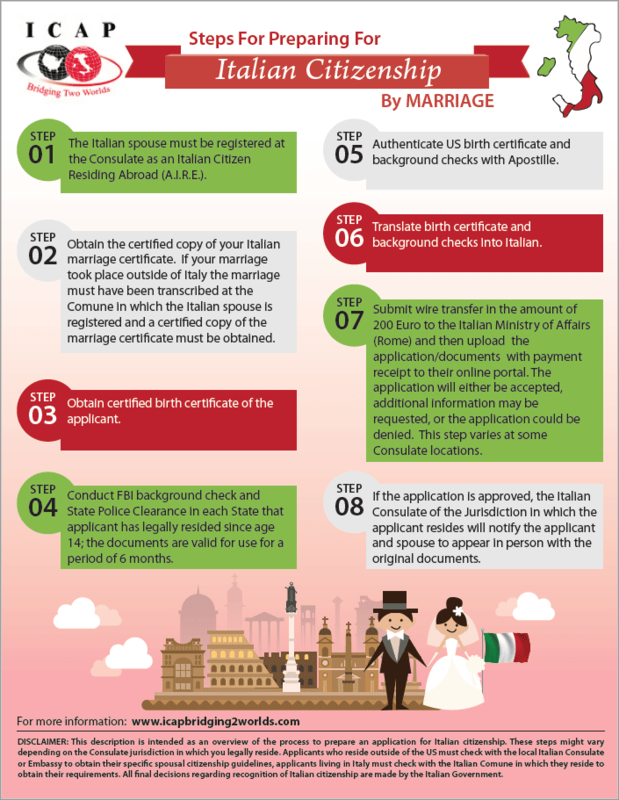 The infographic below explains each step that you must complete to obtain dual Italian citizenship through marriage.